Skeletons know a thing or two about being comfortable. They're never wearing any clothes, or skin for that matter, so they always feel free to move about and do as they wish. 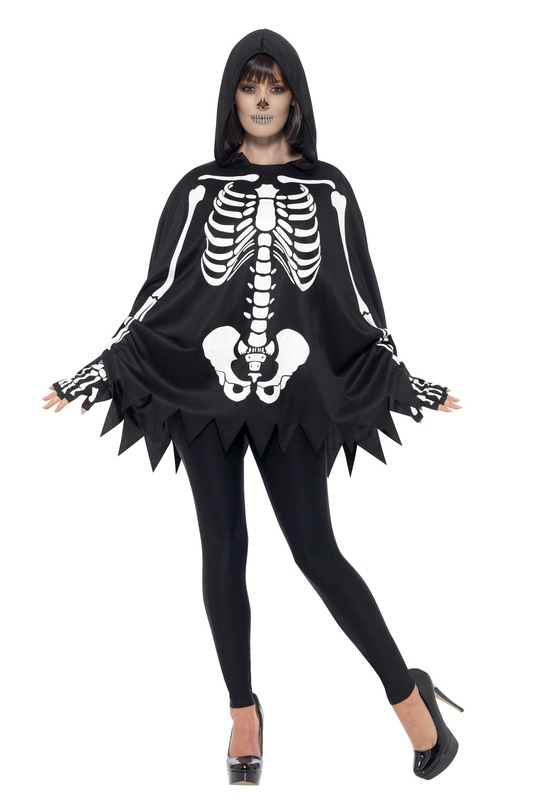 Some clothing can be restricting and skeletons need to be unbounded so they can slink around, scare people, and go about their skeleton business which is why this boney bunch is such a strong supporter of a particular type of clothing; the poncho. Ponchos are like a wearable blanket which comes in handy when you're a skeleton. Skeletons are typically cold so it makes sense why they would want to stay warm and toasty underneath a soft poncho. Ponchos also connote a dash of mystery that other apparel items lack. People think to themselves, "I wonder what this person is hiding underneath that poncho?" It's the kind of garment that inspired thought! 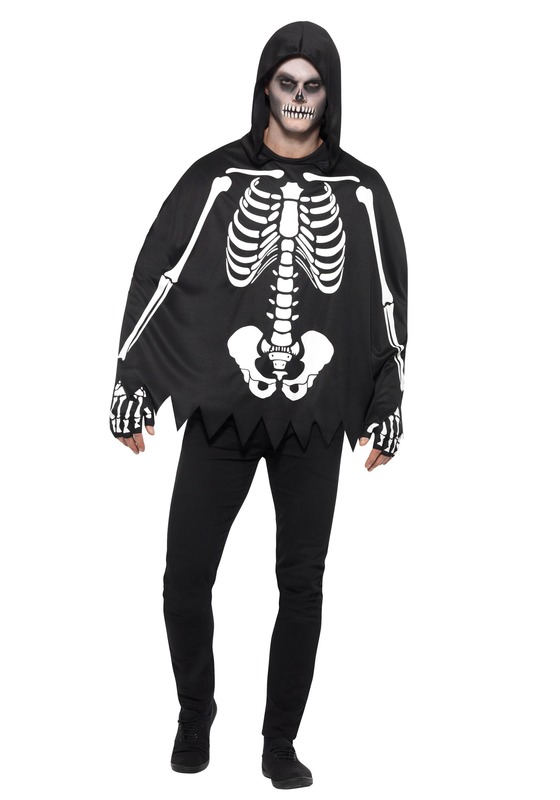 So if you want a costume that is a mix of mystery, cozy, and a hint of scary then look no further than this adult poncho skeleton costume. It has the skeleton stamp of approval so you know it's a classic that can be worn over and over again. 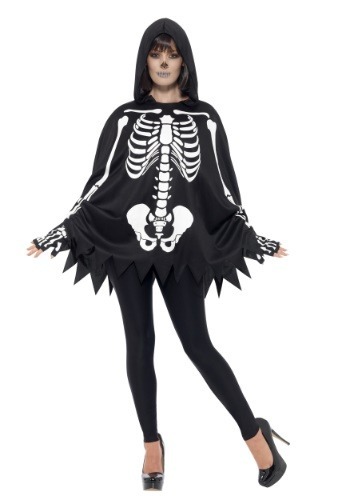 The hooded skeleton poncho is made from a shiny black material and features a printed white rib cage in the center and arm bones down the sides. The poncho comes in one convenient size, so it can fit both men and women. The jagged hemline adds a creepy touch and it can be paired with any pants of your choosing. Make your skeleton costume extra spooky by picking up a skeleton makeup kit for the perfect makeup application. Paint your entire face white and draw on a nose and teeth with black makeup.